In a thrilling elite race, Philip Tarbei held on to his title at the 2018 Hapalua in a time of 1:04:14. 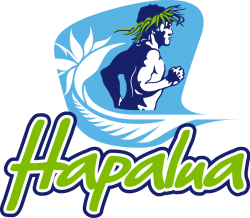 Team Hawaii was in the lead up until the home stretch when Tarbei passed the last five members of Team Hawaii in the last half mile. Reid Hunter, representing Hawaii and Maui, finished second in a Chase/Net time of 1:04:25 and Patrick Stover third in 1:07:35 (PR).